The Connecting Up 2011 Conference has kicked off in Melbourne, with the 400 delegates at the Not for Profit technology conference hearing about the technological challenges and trends facing the sector. 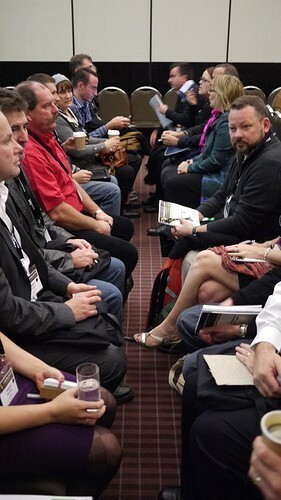 Above: Connecting Up CEO Doug Jacquier addressing the conference. Follow all the conference news here. The Connecting Up 2011 Conference has kicked off in Melbourne, with nearly 400 delegates at the Not for Profit technology conference hearing about the technological challenges and trends facing the sector. 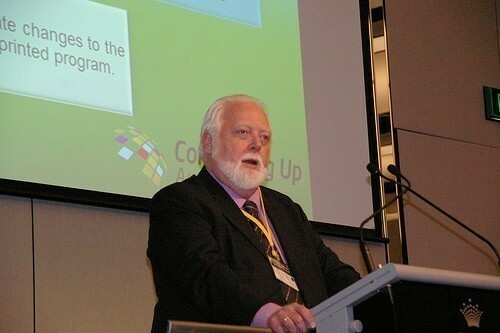 CEO of Connecting Up Australia Doug Jacquier says a lot has changed since the conference was last held in 2009, with the start of the rollout of the National Broadband Network being a particularly important step for the Not for Profit sector. The Minister for Broadband, Communication and the Digital Economy, Senator Stephen Conroy told a technology trade fair in Sydney recently that the government will provide $12.4 million over three years to assist and train small-to-medium enterprises and Not for Profit organisations (including local cultural organisations) in the initial 40 communities to get the NBN, to help them fully utilise the new broadband network. Jacquier says such a move hasn't happened by magic – there has been important lobbying from many parties in the Not for Profit sector. Jacquier says he expects cloud computing to rapidly expand over the next two years, bringing high-level technology to tens of thousands of small and medium Not for Profit organisations who are currently held back by cost. However he says this will bring with is issues around trust and control that Not for Profit organisations will have to address. He says Not for Profits need to get better at building alliances with businesses and like-minded organisations, rather than just looking to government, and find ways to be involved and noticed in the policy framework. He says organisations also need to get better at what the business world calls 'return on investment', by providing tangible evidence of their worth. Jacquier thanked the 400 delegates for attending, and gave special mention to representatives from an indigenous organisation in Kununurra in the far north of Western Australia for making the journey to Melbourne. CUA Board Chair Bruce Linn officially opened the conference, and warned against Government moves to impose a mandatory internet filter. Linn says government interference in any media has rarely had a positive effect on society, and any move by government to censor the internet should be watched closely and with caution. Pro Bono Australia is the official media partner of the Connecting Up 2011 Conference, and our News team is reporting live from the conference. Follow all the conference news here and join in the conversation on twitter by using the hashtag #CU11. The Connecting Up 2011 is on at the Crown Exhibition Centre, June 1-3.